We all probably struggle to get our kids to eat their vegetables at the dinner table. 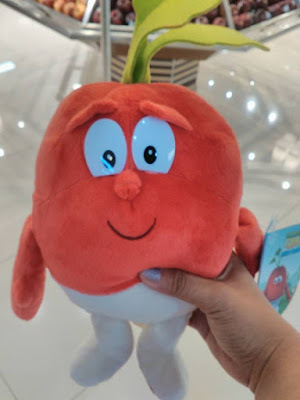 So it was such a great idea for Rustan's Supermarket to initiate a program to promote healthy eating among children and help us parents to introduce some nutritional veggies and fruits via their Goodness Gang Body Squad promo. We all know what veggies and fruits provides good nutrients to keep us all in good shape. 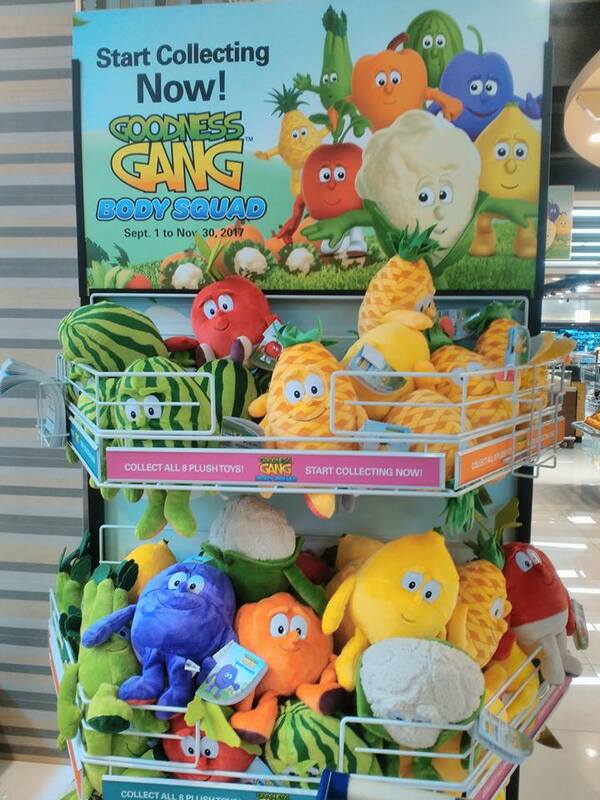 Rustans' Goodness Gang Body Squad are so cute and cuddly that your kids will surely appreciate and hopefully make them eat their fruits and veggies. I recently received Chloe the Cauliflower from the bloggermail and it was really cute. It did looked like a real cauliflower, with all its color and texture. Cauliflower is a cousin of the cabbage (brassica) and broccoli family. We love eating them with cheesy cream sauce and parmesan. Cauliflowers have roundish heads (about 20cm wide), which are creamy-white to pale cream in colour and look like a fluffy white cloud. When cut in half we look like a dense rounded tree with the main white branch dividing into many small branches which end in a mass of white to creamy-white flower buds or ‘curds’. Cauliflower helps improve our brain health. 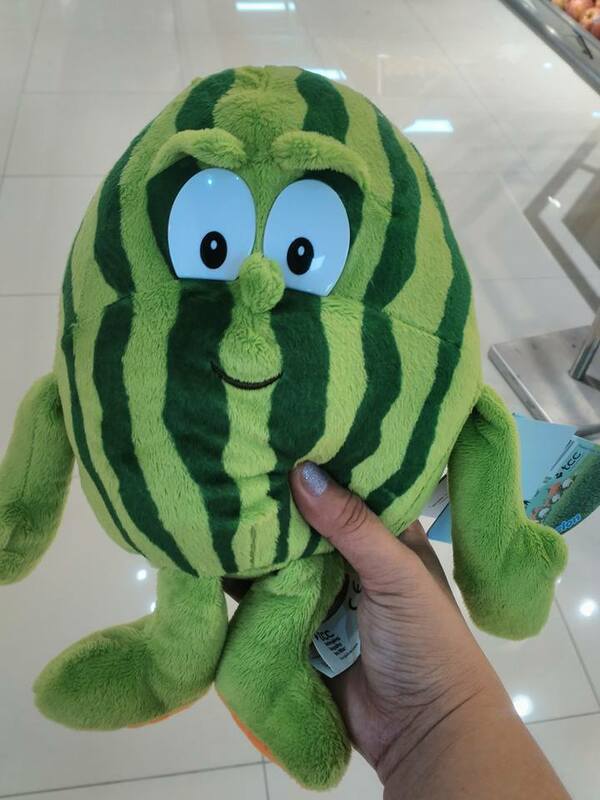 Meet Wally the Watermelon. Watermelons originated in Southern Africa. It is made up of 92% water to help you stay hydrated under the sun. Nutritionally, watermelons contain high levels of vitamin B6 (which increases brainpower), vitamin A (good for eye sight), potassium (which helps in curing heart disease and keeping the heart healthy). The watermelon also contains Vitamin B1, C and manganese which protect against infections. 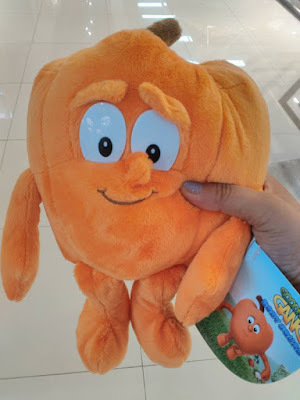 It can be classified both as a fruit and as vegetable. The benefits of celery begin with it being an excellent source of antioxidants and beneficial enzymes, in addition to vitamins and minerals such as vitamin K, vitamin C, potassium, folate and vitamin B6. 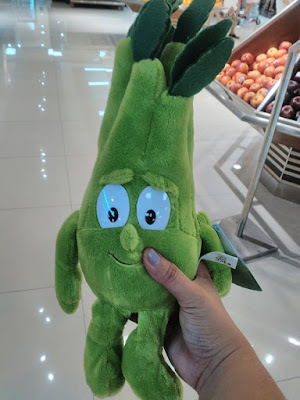 Cedrick the Celery also helps in weight loss, relief from high cholesterol levels and arthritis pain. It detoxifies the body and reduce high blood pressure. Pumpkin fruit is one of the widely grown vegetables incredibly rich in vital antioxidants, and vitamins. Though this humble backyard vegetable is low in calories, nonetheless, it packed with vitamin-A, and flavonoid polyphenolic antioxidants such as lutein, xanthin, and carotenes in abundance. It is one of the very low-calorie vegetables. 100 g fruit provides just 26 calories and contains no saturated fats or cholesterol; however, it is rich in dietary fiber, anti-oxidants, minerals, vitamins. The vegetable is one of the food items recommended by dieticians in cholesterol controlling and weight reduction programs. Pumpkin is a storehouse of many anti-oxidant vitamins such as vitamin-A, vitamin-C, and vitamin-E. I would be very biased for saying this since my blog is called Purple Plum Fairy. I do love plums as much as I love the color purple. Plums contain vitamin C and phytonutrients such as lutein, cryptoxanthin, zeaxanthin, neochlorogenic and chlorogenic acid. It is a high-oxidant food that helps prevent certain types of cell damage, especially those caused by oxidation. Since I am diabetic, I also love the fact that Plums have low gylcemic index. It aids in the reduction of blood glucose and triglyceride levels in the body. The presence of flavonoids is another plum benefit because they protect the body against insulin resistance. It’s also the presence of soluble fiber in plums that helps normalize blood sugar levels and serves as a natural remedy for diabetes. Soluble fiber helps the stomach to empty at a slower rate, which affects blood sugar levels and has a beneficial effect on insulin sensitivity. This helps to control diabetes. 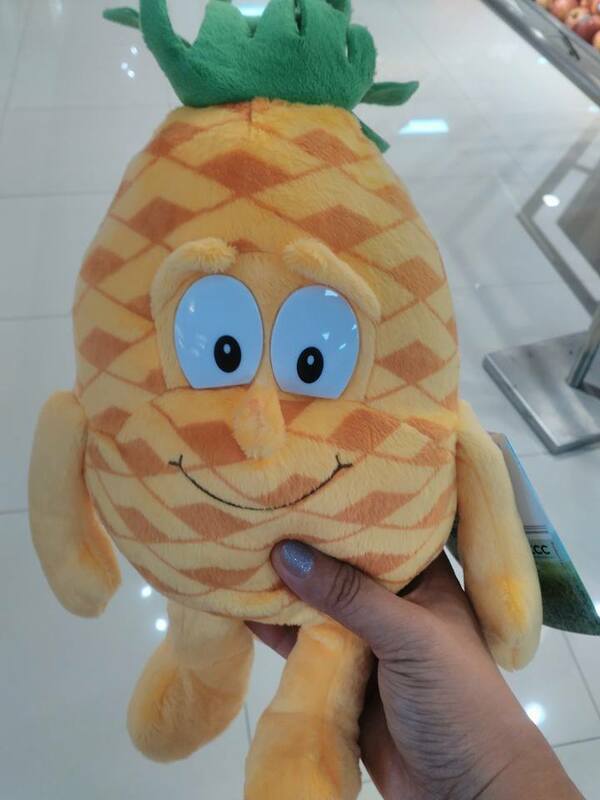 Pineapples can help reduce the risk of macular degeneration, a disease that affects the eyes as people age, due in part to its high amount of vitamin C and the antioxidants it contains. It also helps in digestion, supports the immune system, for healthier bones eyes. Folate, fiber, riboflavin, and potassium, as well as good amounts of copper, vitamin B6, magnesium, manganese, and calcium are less prominent nutrients that support the healthy properties of radishes. It's probably no surprise that radishes contain fiber, a.k.a indigestible carbohydrates. Radish also helps protect your kidneys and prevent you from getting kidney stones. Lemon is an excellent and rich source of vitamin C, an essential nutrient that protects the body against immune system deficiencies. Lemons contain pectin fibre which is very beneficial for colon health and also serves as a powerful antibacterial. From September 1 to November 30, you can collect these adorable Rustans' Supermarket Goodness Gang Body Squad plush stuffed toys for FREE. 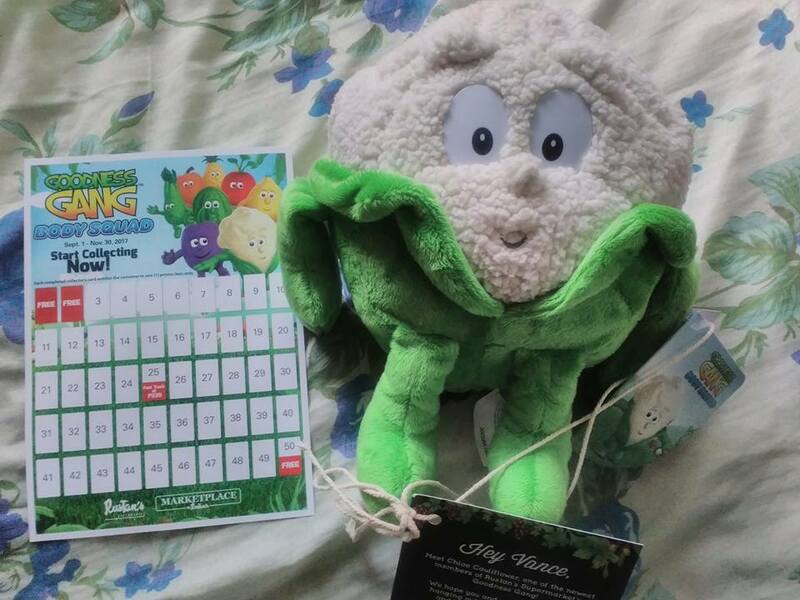 Eight adorable plush toys can be redeemed through collecting stickers every time you shop at Rustan’s Supermarket and purchase sponsor products. Customers earn 1 sticker for every P300 spent, while an extra sticker is earned when P100 worth of your items are sponsor products. You can get a Body Squad plush toy for FREE with 50 stickers earned, or buy them at P339 each when you earn 25 stickers. For more info, visit www.rustansfresh.com, follow and like rustans fresh on Facebook, and @rustansfresh on Instagram and Twitter. 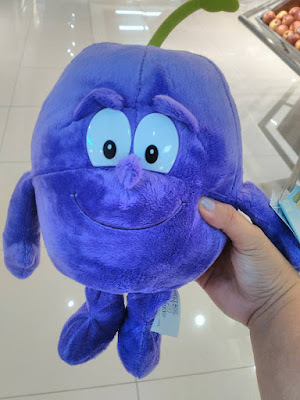 Rustan’s Supermarkets are located at Makati Area: Glorietta, Greenbelt 1, Paseo de Magallanes, Alphaland Makati Place, Paseo Center, Century City Mall. North Area: Shangri-La Plaza, Gateway Mall, Katipunan, Tomas Morato, P. Guevarra, Corinthian Hills, Village Center Antipolo, The Grove by Rockwell, Ayala Malls The 30th. South Area: Ayala Alabang Village, Evia Lifestyle Center, Uptown Mall BGC. Cebu: Oakridge Business Park, Ayala Center, Arcenas Estate CDO: Ayala Centrio Mall. 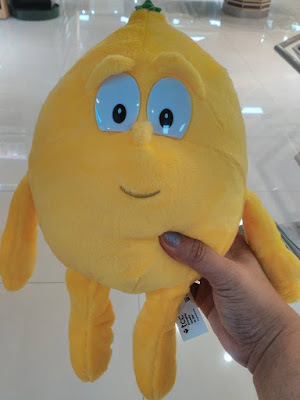 Also, visit Marketplace by Rustan’s at San Antonio Plaza, Rockwell Power Plant Mall, Central Square Bonifacio High Street, Connecticut San Juan, and Eastwood City.